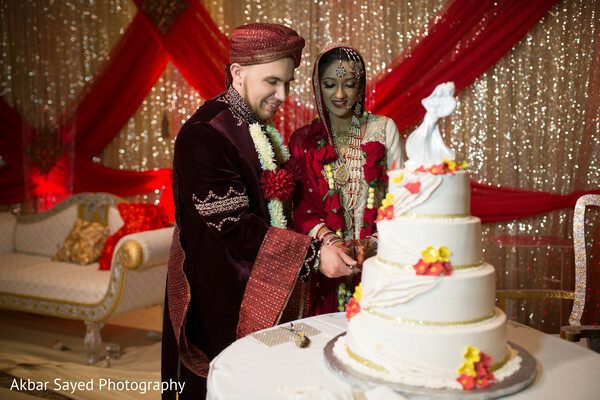 For this fun-loving fusion couple, floral and decor experts Imperial Décor design spellbinding sweetheart stages for their shaadi at The Westin Crystal City and their walima at the Hilton Springfield in Virginia! 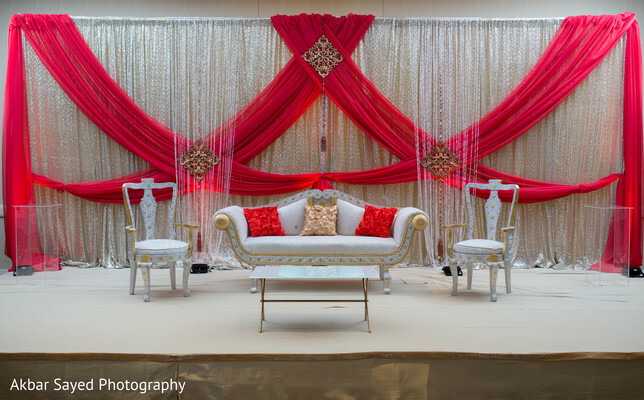 The shaadi stage is draped in traditional red and gold, with glittering sheer fabric in the backdrop! So plush and so regal! 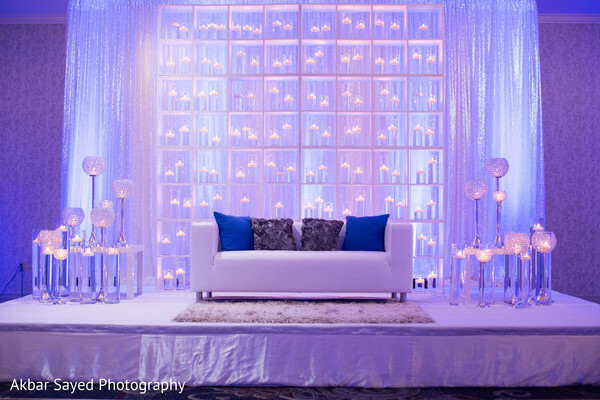 For the Pakistani walima, Imperial Décor cools things down with magnificent blue and silver tones, creating for a Winter wonderland ambiance! How modern and so très chic! 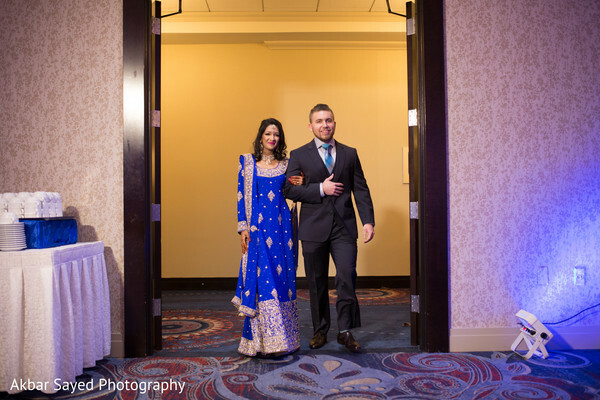 Akbar Sayed Photography catches up with our couple in their complementary blue fashion ensembles—Aman in a royal blue anarkali and Josh in a dark grey three-piece suit with blue striped necktie! 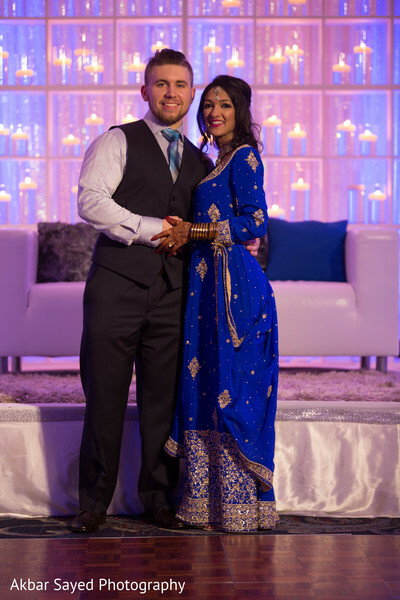 And through all the dancing and celebrating, Aman's makeup and hair courtesy of Styles By Swati LLC. Stays fresh and in place! Looks like a blast was has by all! 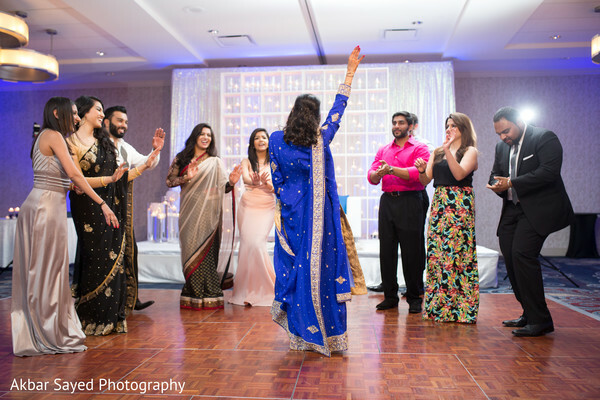 Don't forget to browse the gallery to see all the highlights including the pre-wedding celebration! "This wedding would not have happened without my family! It really brought out the best in everyone. I am still overwhelmed with gratitude and appreciation for everything they did. My siblings and cousins made all the centerpieces for both the shaadi and the mehndi nights (my favorite was the elephant picture holders with childhood photos of my husband and myself). One of my cousins did my makeup & hair for the mehndi night and another brought me food at 3 am the night before the wedding because I was craving it! My mom and dad also worked so hard to make sure everything was wonderful and coordinated. I didn't even need a wedding planner because they had it under control the whole time which was so comforting to know. And these are just to name a few things, they did so much! My family is full of amazing people." 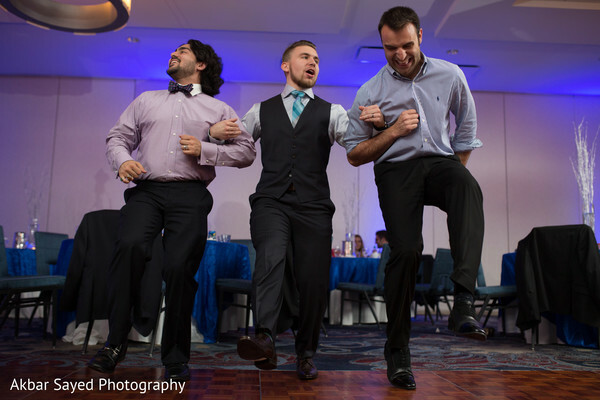 "Due to time constraints, we couldn't fit in a formal first dance during the wedding. Our amazing photographers, however, made it happen! They took us to Crystal City Water Park for a pre-wedding photo shoot. Upon hearing about the first dance dilemma, they asked us what our song was and played it on their phone so we could have our dance in the middle of the park. It was perfect. Our song was "Jhoom" by Ali Zafar." 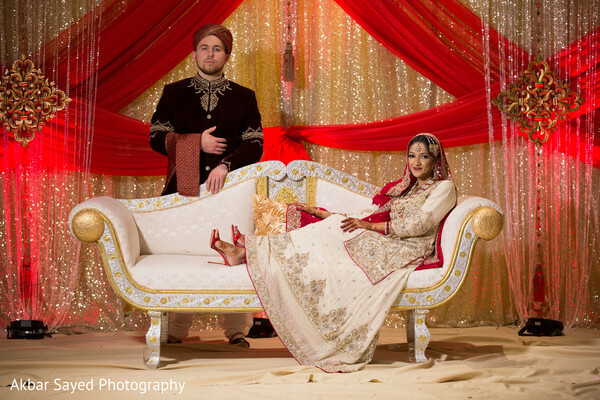 Styles By Swati - Salon SBS and Akbar Sayed Photography are members of the Platinum Guide. Love what you see? Explore their portfolios.